The Series 3 features a wide range of models that meet the many needs of our customers. All the models have in common the high quality level and the versatility of the solutions. 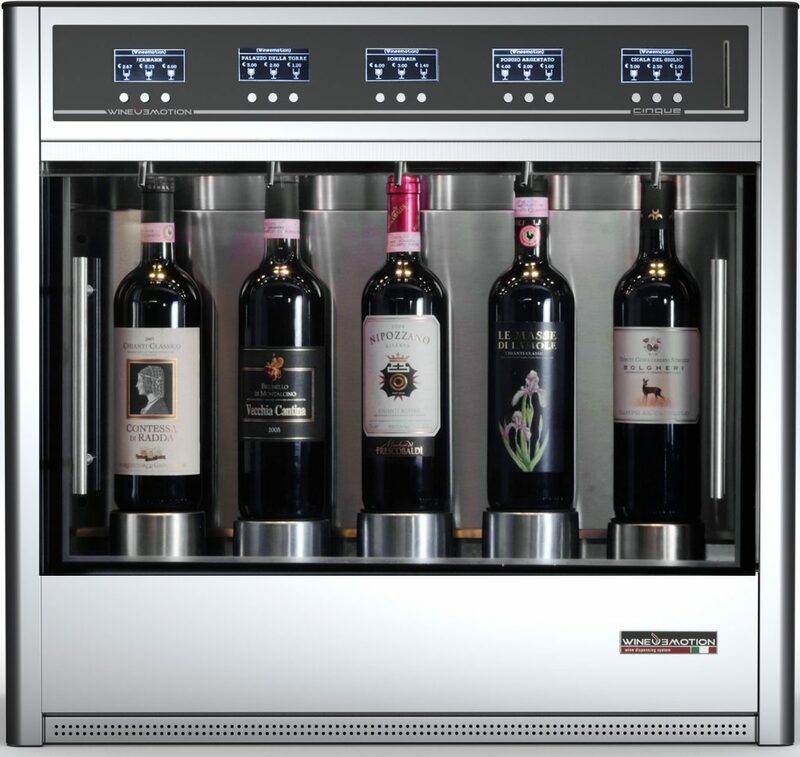 Used in self-service mode, thanks to the useful software WineIdea. The models of the Series 3 are available in the “Standard” version with removable polycarbonate door, and in the “Plus” version with a double door in magnetically-closed glass *. * The Plus version is available for 6-and 8-bottle models. The model CINQUE combines quality, design, elegance and quiet operation at the top of its class. This commercial wine distributor has a uniquely controlled climatic area and allows the placement of five bottles in a compact and space-saving design. The Wineemotion CINQUE is recommended for small installations such as Country Club or lounge and is perfect for home use. Activated by the Wine card reader and Barcode *. Cinque Room Temperature Five bottles, room temperature with optional polycarbonate door. Cinque Five bottles, refrigerated with polycarbonate door. Copyright 2019 Wineemotion. All rights reserved.